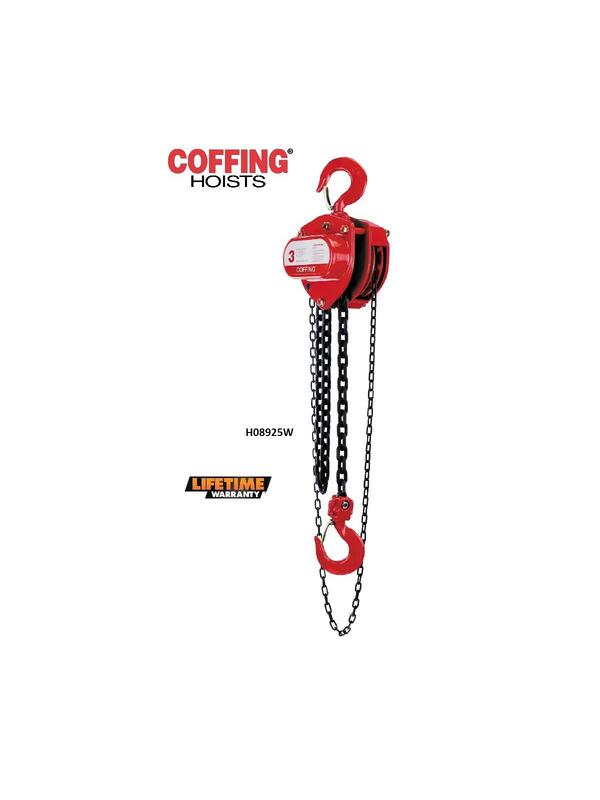 Coffing LHH hand chain hoists feature stamped steel and are an excellent low cost option in the Coffing line. The compact, lightweight design is ideal for construction and contractor applications where portability and easy rigging are critical. FOB Shipping Point. • Designed for portability and easy installation. Compact gear housing provides low headroom. • Lubricated bearings and bushings, bearing-mounted pinions, and heat-treated spur gearing ensure smooth and efficient operation with minimal effort. swivel hooks with safety latches for positive load engagement. • Durable through hardened load chain providing added strength and wear resistance for greater chain life. Stamped steel housing withstands rugged conditions. • Designed for easy inspection and maintenance. 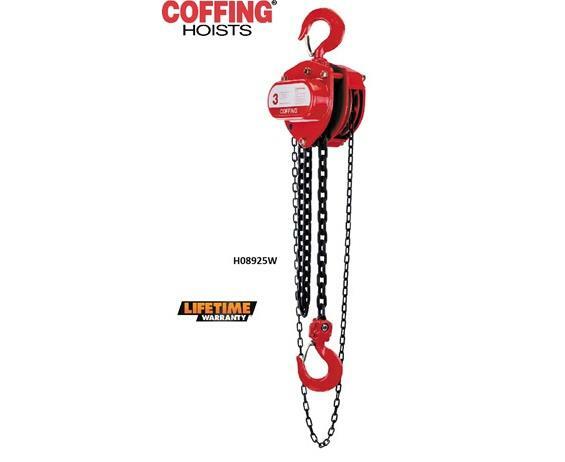 Hoist can be dismantled easily with simple hand tools.